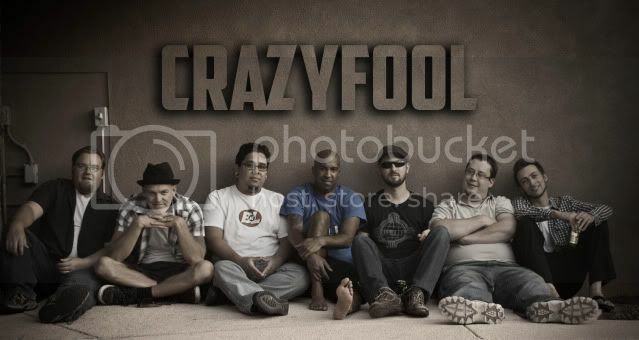 This summer marks the 10th year CrazyFool has been performing their unique blend of rocksteady, reggae, and ska as a band! 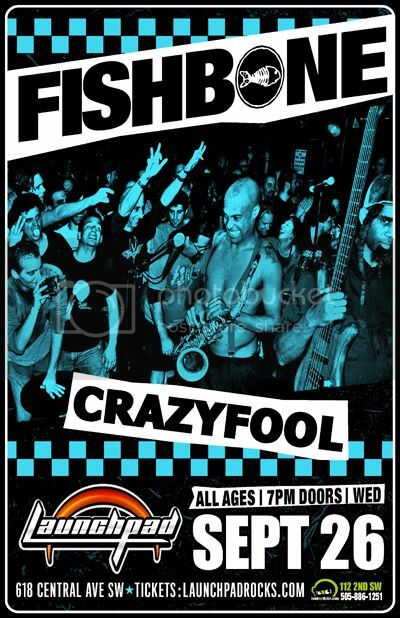 We thought it would be a good idea to throw a show at our favorite venue alongside our favorite bands. 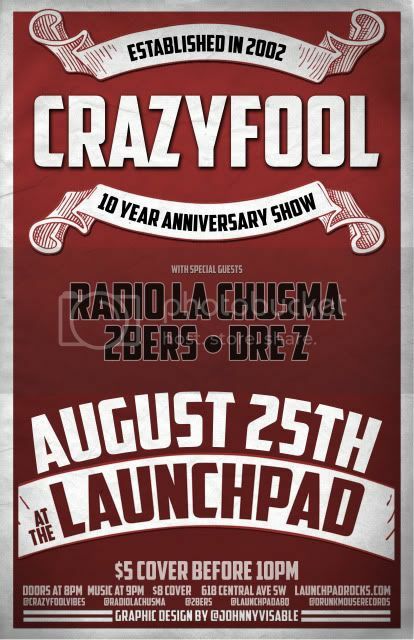 We hope that you, our favorite people, will join CrazyFool, Radio La Chusma, Dre Z (of One Foundation), and 2Bers August 25, 2012 @ Launchpad. We’ll see you then! 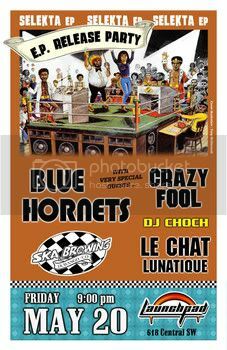 CrazyFool set to play Blue Hornets’ CD Release! Signup with us so you can recieve our latest news and upcoming show information. Hope you guys are still together (still a band). If so, how bout a new ep.... or maybe Lp?.........double LP? I think your cool in my book!! Post your comment on the board!